Do You Need Drain Field Repair In Index Or A Replacement? When it comes to the drain field on your property, this is something that can fail due to an overabundance of wastewater being put into it. With the constant saturation, the system may not have the ability to keep up. By the same token, too much water sitting in these lines constantly can lead to a build-up of bacteria that will form on the inner walls. If you are having issues with your drain field, how will you know if you are in need of drain field repair in Index or if you are going to require a complete replacement? If your septic system has been designed properly, it should have the capability to handle a certain amount of wastewater. This should be determined by the number of people are living in your home. If you happen to have an overload of the system by the people living in your home, too much water usage will never allow the drains enough time to dry out. When you notice that you are having problems with your septic system, you could be in need of repairs to the drain field. Septic problems might include slow drains in your tubs, showers, and sinks, piping that makes gurgling noises, and the pooling of water outside on the ground near your septic tank. 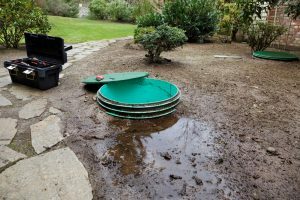 In order to determine if the problem is with your drain field or if you have a clog or issue elsewhere in your septic system, you need to contact a professional. Our staff at Schleg Valley Construction has the experience, tools, and manpower to properly assess your drain field based on the symptoms you are experiencing. We can do a full inspection to determine where the problem is and then come up with a plan of action before proceeding. No matter what, we will make sure that you are able to get the drain field repair that you need so that your household has proper removal of wastewater at all times. Drain field repair in Index is something best left to the professionals. Call us today at Schleg Valley Construction at (425) 312-6750 and we can set up a convenient appointment time. Previous PostPrevious Why Hire The Professionals For Septic System Sitework In Clearview? Next PostNext Will You Be Needing A Drain Field Replacement Company In Forbes Hill?